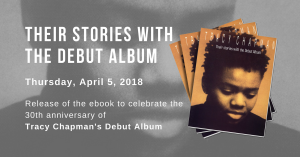 Tracy Chapman on fame and her journey through life – A star of Tracy Chapman’s calibre can very easily persuade her record company to let her spend her required press days in somewhere as posh as members’ club Home House, Marylebone. Indicative of the general opulence is the massive couch Chapman has chosen for cotching purposes. It threatens to swallow her petite frame and after a few seconds she decides to just perch on the end of the sprawling settee. But things can’t be that bad when your biggest problem is an overly comfortable couch. Thankfully, her demeanour doesn’t fit the austere surroundings. Chapman is very smiley, friendly and generally easy-going. Since her 1988 eponymous debut album she has continued to make music that is true to her, and her obviously important principles, while still managing to sell in the many millions. Her latest album Where You Live, her seventh, (it’s now 17 years since Fast Car), drops today and is sure to enjoy similar success. Unlike the majority of recently emerged singer-songwriters who keep their guitars close by, Chapman, 41, doesn’t write throwaway songs whose only purpose is to sound nicely unthreatening on daytime radio. She doesn’t even write songs when she doesn’t want to. Chapman is one of those artists – joined by the likes of Sade and Jill Scott – whose success has allowed them to release records pretty much when they like, which usually ends up being every few years. Where You Live’s first single Changes definitely touches on more than the pleasures of the open road. “One of the unfortunate things about getting a bit older,” she says with a little laugh. “Is that you start to deal with death. That’s one of the things I’m experiencing. I now know people who are no longer here, and I have friends who are losing their parents. It seems to happen during that kind of transition from late 30s to early 40s. It’s those kind of things that you look at and you feel like ‘okay I’m not going to be here forever, so maybe I should try and get things right’. Equally thought-provoking are her thoughts on America. For the record, Chapman was one of many celebrities behind the Vote for Change concert tour last year in support John Kerry’s nomination for US President. Chapman first found worldwide fame after her performance at Nelson Mandela’s 70th birthday concert in London in 1988. The 12-hour concert, which was broadcast to over 50 countries, made it possible for hundreds of millions of people to see and appreciate her. While many of her dedicated fan base were introduced to Chapman in the company of Whitney and Stevie, a sizeable amount of hip-hop fans first heard of her when Nice’n’Smooth sampled Fast Car for their tune Sometimes I Rhyme Slow. This occurred in the days before hip-hop groups bothered to clear copyright on their samples. But while the incident didn’t exactly have her pulling out her locks in frustration, Tracy Chapman is not the biggest fan of sampling. She even turned down a recent request from Kanye West, who is surely one of the most creative samplers out there.